What Can I do to Reduce Airborne Allergens? 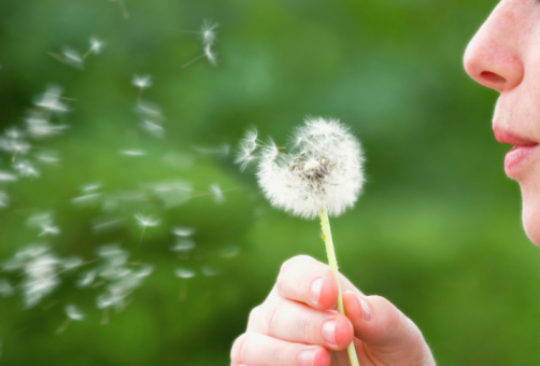 Refrain from outside activities, if possible, during times of high pollen counts (if you are sensitive to pollens). Note that peak pollination occurs at different times of the day for different plants (e.g., ragweed in the late morning, grasses in the afternoon). Do not walk through uncut fields, work with compost or dry soil, or rake leaves. Use air conditioning and a dehumidifier to reduce indoor humidity to < 50%, if possible. Encase mattress, pillow and box springs in an allergen-impermeable cover. Use HEPA-filters. Electrostatic filters can be used but note that although they are less efficient than HEPA filters, they still remove particles that can be inhaled. Use a HEPA-type air cleaner in the bedroom and elevate the cleaner off the floor.